Futures and derivatives might look the same, but when you scratch the surface you will find a whole lot of differences between futures and derivatives. 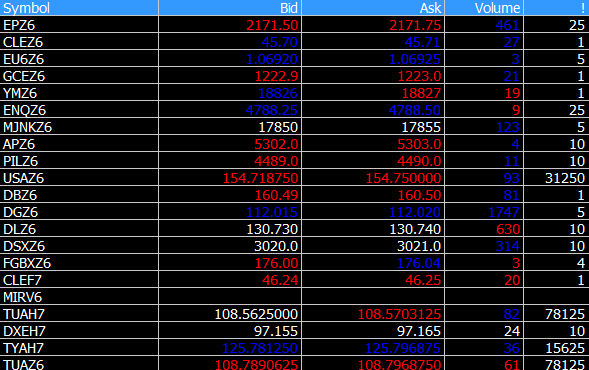 As someone rightly said that the devil is in the details, so is the case with futures as well. At the outset, futures and derivatives perform the same function, which is to hedge risk. In order to understand the difference between futures and derivatives, you should first understand what derivatives are. Derivates are financial instruments where the price (or value) of the underlying security is based on the price or value of another similar asset. The asset from which the derivative gets its value or price is known as the underlying asset or the real asset. The underlying can take many forms but it typically represents a stock, bonds, commodities, indexes or currencies. The most important point to remember about derivatives is that the value of the derivative depends on something else, which is the underlying asset. This means that when the value of the underlying asset changes, it causes the price or value of the derivative to change as well. The chart below shows an overlay of the WTI Crude oil prices. The area chart (represented in black) shows the crude oil price, which forms the underlying security for the WTI Crude oil futures contract (depicted in the blue line). At this point, you might be wondering, what's the point of a derivative when it merely mirrors the value or price of an underlying asset? Derivatives are useful for two particular instances. For example, if you look at a commodity such as Corn and if the prices were in a decline, a corn producer can minimize their risk by trading the derivatives. 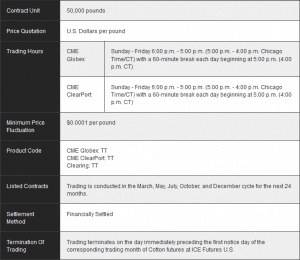 A corn farmer (seller) can hedge their exposure to falling corn prices by entering a derivatives contract by fixing the price of corn for a future delivery date. This way, if corn prices were to fall by 5%, the Corn farmer has hedged their risk by entering a derivatives contract with the buyer, thus minimizing their losses. The derivative used in this example was nothing but a forward futures contract, where the price of the commodity was locked in for a future delivery of the commodity. If Corn prices continue to fall, new forward contracts are issued at the current price, thus the derivates continuously track and adjust to the current price of the underlying asset, which in this example happens to be corn. Derivative markets are highly driven by speculators who are motivated by profit rather than mitigate or hedge risk (such as the corn farmer/producer). It is important to note that speculating on derivatives is very different from hedging. The main difference between speculators and hedgers is that hedgers seek to limit their risk by utilizing derivatives, which act as an insurance policy. On the other hand, speculators in derivatives are driven by the opportunity to make profits. These two types make the chunk of the futures markets to the point that the CFTC’s Commitment of Traders report has the hedgers and speculators as the major categories when reporting their positions. Swaps: Swaps are nothing but exchanging one security for another based on different factors. 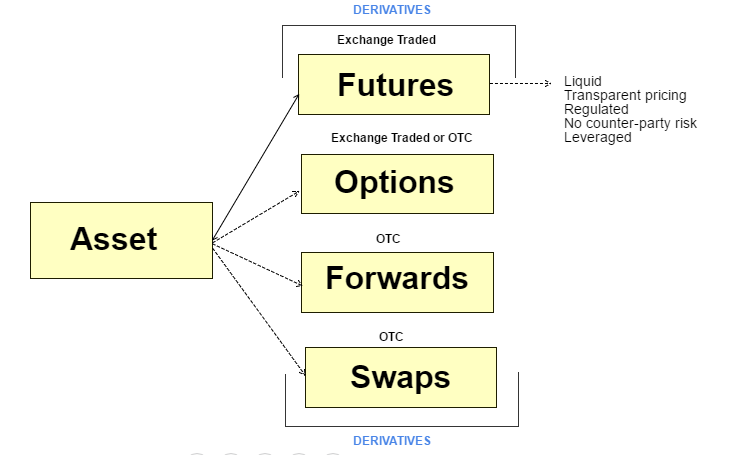 Similar to forwards and options, swaps are not standardized or regulated. 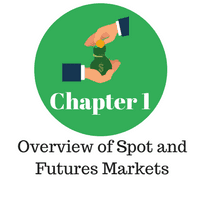 Now that we have an understanding of what derivatives are and the different types of derivatives, let’s look at the key factors that differentiate futures from derivatives. A standardized or a structured product means one and the same. They are financial products that are known as market-linked investment based on a single underlying security or a basket of securities. Standardization ensures that the end product is consistent. When used in reference to the futures markets, standardization means that the futures contract of a single underlying security should be identical. For example, a standard contract for Crude oil (light sweet) futures is 1000 barrels of the Light Sweet Crude Oil type. It does not matter whether you buy the futures contract for a December 2016 delivery or a March 2017 delivery. When you buy a futures contract regardless of the contract's expiry period, you are always buying 1000 barrels of Light Sweet Crude oil. Another example would be the gold futures contract where each contract represents 100 troy ounces of gold. Again it does not matter whether you are buying the nearest month contract or a contract far into the future. Every contract (gold in this example) represents 100 troy ounces. A standardized contract also determines if the contract will be settled in cash or with physical delivery of the underlying asset. For example, most indices and currency futures are settled in cash, while commodities futures contracts can be settled with physical delivery. Futures contracts are traded at an exchange similar to a stock exchange, known as the futures exchange. Futures are therefore subject to financial regulation. Other derivatives such as options, forwards or swaps which actually make up 95% of derivatives trading are unregulated. This exposes the trader to credit risk as well as counter party risk (the inability to meet honor the terms of the contract). For example, we know that when you trade futures you are supposed to put up an initial margin known as a performance bond. During the tenure of your futures contract, you are also required to maintain a margin account. This is a requirement of both parties in the futures contract, implemented by the clearing or the exchange house. By doing so, there is no risk of default or not honoring the futures contract. Every futures contract is traded at an exchange. 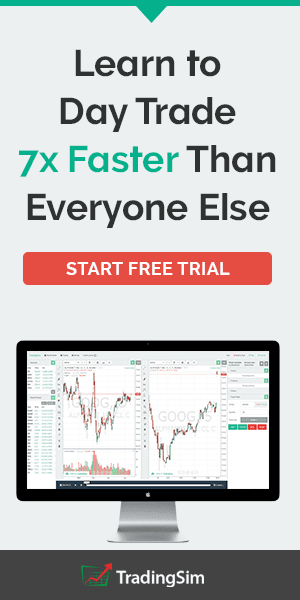 For example, Gold futures are traded at the Chicago Mercantile Exchange, while Oil futures are traded at the New York Mercantile Exchange and so on. An exchange traded product offers transparency in pricing as well by maintaining an order book where all bid and ask prices are registered. Another main difference between futures and other derivative products is that futures contracts play an important role of price discovery. Price discovery is a process of determining the price of an underlying security through supply and demand factors related to the market. 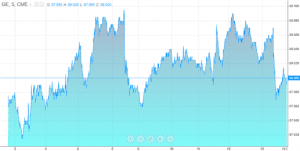 The futures markets react swiftly to new information and transparency. The information is often discounted as the futures markets absorb the information and is thus reflected in the changing prices in the futures markets. The pricing of the futures markets generally tends to converge to the spot market prices, especially when a contract is nearing its maturity. As an example, if there was a weak sowing season for wheat, it typically reflects in higher prices, over a period of time. Although the current futures contracts may be trading at a discount, over time when wheat prices start to rise, the forward month contracts also tends to rise, thus converging on with the actual price of the underlying security, which is wheat prices in this case. In futures trading, both participants (the buyer and seller) of the futures contract are obliged to buy or sell the underlying asset at the specified price on day of settlement. Therefore, one party's loss is other party's gain and vice versa. With options this is different as the option contract buyer has the right, but is not obliged to buy the underlying asset. With options, the risk is limited to the buyer of the option to the premium being paid while the profit potential is unlimited. On the contrary, a seller of an option has to take on an additional risk of volatility in exchange for premiums, which in turn limits their profit potential. Besides risk, the way gains are realized with options and futures are also different. With futures contracts, the way gains are realized are straight forward because the futures prices are marked to market. On the contrary, the gains in options can be realized either by exercising the option to buy when your options contract is in the money or to wait for the option expiry to collect the difference between the strike price and the asset's current price. It is easy to buy or sell futures contract at an exchange due to the fact that futures are highly liquid. On the contrary, trading one of the OTC derivatives versions comes with a risk of low liquidity. Price transparency is also another important factor that differentiates futures from other derivatives. 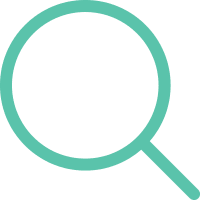 For example, when you trade an OTC forward contract, the prices are only known to the transacting counter parties, whereas with a futures contract, the pricing for the contract is transparent. 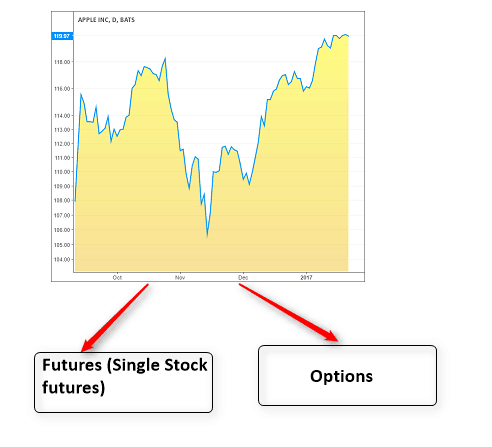 In conclusion, futures are technically derivative products, meaning the futures price tracks the underlying price. But this is where the difference ends. Unlike other derivatives products, futures are standardized and regulated, while also enjoying a high level of liquidity. 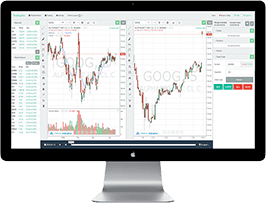 By trading futures, you can be sure that you are trading a financial product that is regulated by the government, is transparent in the pricing, and liquid enough for you to buy or sell quickly.